Pianist Sandra Hebert has performed throughout the U.S., as well as in Asia and Europe in recital as soloist, concerto soloist, and collaborative pianist. She appears regularly with the Kalliope Trio, and with her piano-duo partner, Elaine Kwon, most recently as Guest Artist at the National Music Festival in Chestertown, MD. A committed proponent of new music, her numerous premiers include the international award-winning Flood Gate by Robert Rowe for violin, piano and interactive computer, and the U.S. premiere of Erland von Koch’s Piano Concerto #3. She has recorded for Le Chant du Monde, CRI, ICMC, Juxtab and Arcadian Winds, and has performed frequently on radio and television, including WGBH and WBUR in Boston, as well as appearances on the West Coast. In 1997, she spent a semester in the People’s Republic of China as Visiting Artist in Residence at the Conservatory of Music in Wuhan. Her solo and chamber recitals, including the premiere of a new Chinese solo piano work, were received with critical acclaim and were broadcast on Chinese radio and television. She has returned to China several times by invitation, both to teach and for a concert tour throughout the country. An active teacher, Dr. Hebert has presented concerts and master classes at festivals, conservatories and universities throughout the U.S. as well as in Europe and China. 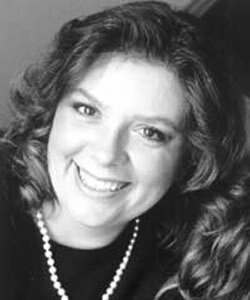 She has served as a competition adjudicator for Boston Conservatory, Brandeis University, Wellesley College, Music Teachers National Association, Massachusetts Music Teachers Association, MusicFest Northwest in Spokane, WA and the Seattle Young Artists Music Festival. Recently she had a two-year appointment as Master Teacher in Residence for the Snohomish Music Teachers Association in Western Washington State. During the summer, Dr. Hebert has been a faculty member in piano and chamber music of the Music in Regensburg (Germany) International Academy; and is currently on the piano and chamber music faculty of the International Music Academy in Cremona, Italy. Winner of numerous prizes and awards for both performance and academics, Dr. Hebert holds a D.M.A. in Piano Performance from Boston University where she studied with Anthony di Bonaventura and Bela Boszormenyi-Nagy. She has taught at the Massachusetts Institute of Technology, Atlantic Union College, the Longy School of Music of Bard College Conservatory and Preparatory Divisions and at the New England Conservatory Preparatory Division. Currently she is Assistant Professor of the Practice of Music and Director of Chamber Music and Performance in the Music Department at Boston College, and also teaches at the Rivers School Conservatory in Weston, MA.